It’s not hard to see why someone might feel some sense of trepidation when committing to a food addiction treatment program. Any time we face the unknown or throw ourselves in to the deep end, it can seem very frightening, especially if we know that we will not come out of it the same. With this in mind, we want to shed a little light on the “mysteries” of a typical food addiction program in hopes to demystify the process just a little bit. We should establish upfront that food addiction programs follow a similar trajectory to most other addiction treatments. The idea is to help addicts get to the root cause of their disease. 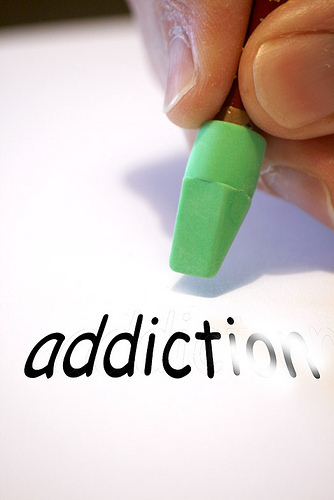 Through food addiction treatment help, a person comes to understand the role food has played in his or her life. With continued work, sufferers can cultivate the necessary coping skills to create a lasting, healthy relationship with food. According to Harvard Medical School, the basis for food addiction lies in how certain types of foods stimulate the brain, similar to how alcohol and drugs do. For some people, foods with high sugar, salt and fat content can become addictive, as certain brain chemical processes grow dependent on food’s effects. More specifically, these types of foods interact with the brain’s pleasure centers in such a way as to create a self-reinforcing mechanism that drives a person to crave foods with high sugar, salt and/or fat content. Food addiction treatment programs address the root of addiction by addressing both the physical and psychological aspects of the problem. Those struggling with an addiction to food will most certainly feel as though they are in a tough situation since eating is such a common, often socialized activity. Our society is saturated with images of food, and an emphasis on beauty, that only serves to exacerbate the problem. Any addiction problem can be characterized with having a sense of a “loss of control”, so trying to control a food addiction from day-to-day on one’s own may seem like an obstacle that can be passed. That is where food addiction treatment programs come in. They offer the support and help that addicts need when they feel they no longer move forward on their own. 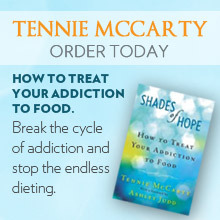 They help addicts break free from the mind and body’s dependence on food. As addiction entails a psychological component that works alongside the body’s physical dependency, food addiction treatment programs place a heavy emphasis on helping a person work through his or her psychological dependency on food’s effects. Those entering a food addiction treatment program can expect a balance of work on therapeutic levels, plus guidance and information about nutrition and practical steps they can take to reevaluate how they see food. Moreover, they help the addict make better choices and develop new patterns. If you feel as though it’s time to take the next step, please call Shades of Hope for a free consultation. We are here to help you cross over any fear you may have and embrace the change that awaits you.